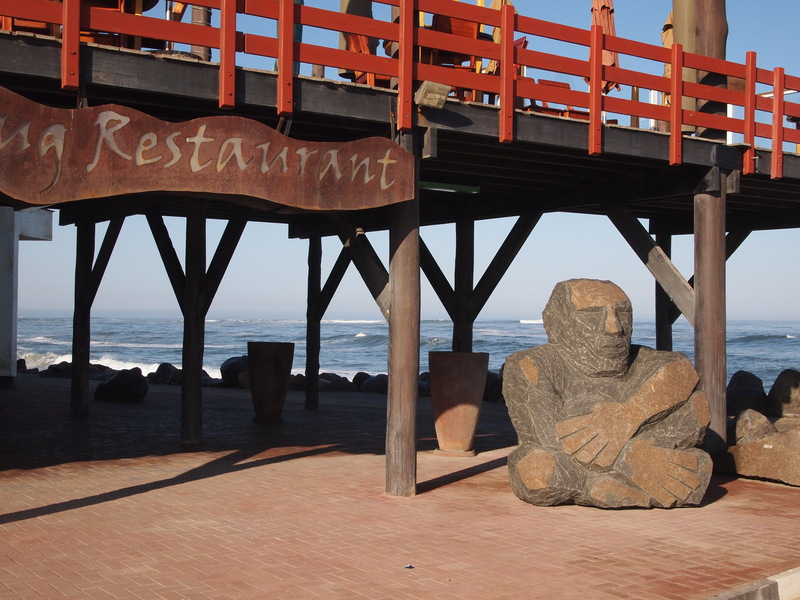 My second day in Swakopmund, Namibia started with a walk to the beach. It was gorgeous! 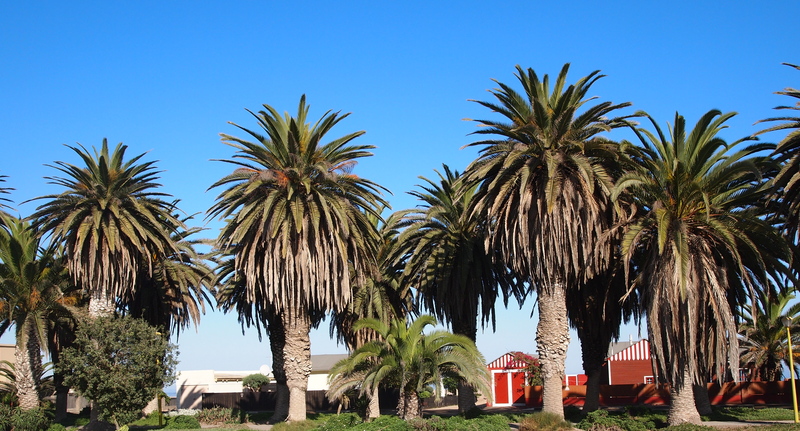 The weather on the trip had been what I expected…40-50 degrees Fahrenheit at night, 80’s during the day and sunny! 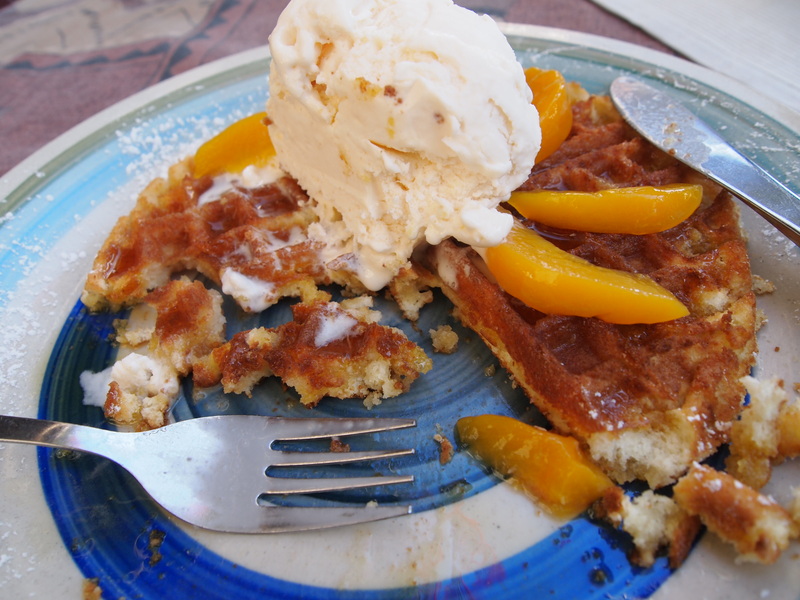 I indulged in a decadent breakfast of cappuccino, homemade waffle, peaches and ice cream at an outdoor café. I was transported to Europe! After a little shopping…an inexpensive ring and a book, I experienced one of the best massages I’ve ever had. She used hot stones (which I’ve had before). I dozed off…which I’ve never done during a massage. Although I tipped her, she was most pleased with an inexpensive ring that I gave to her. I made my way back to the hotel and had trail mix for lunch followed by a three-hour nap. 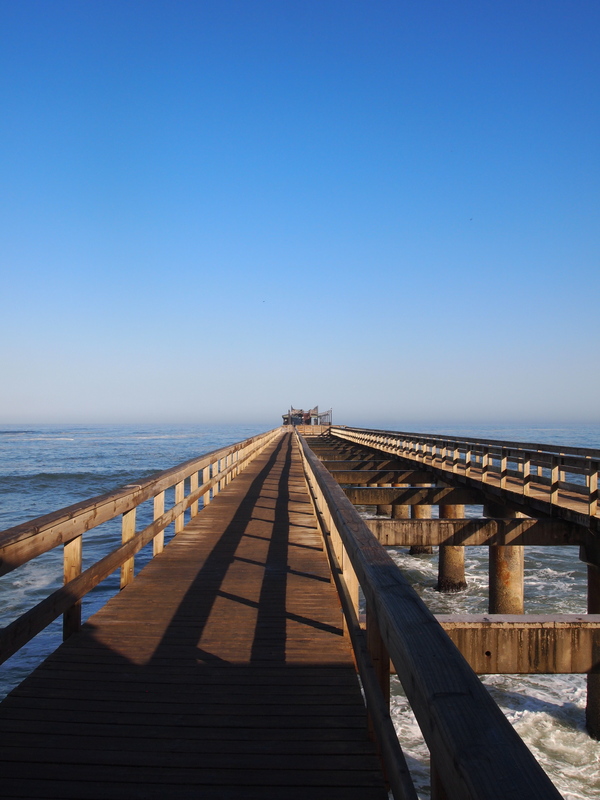 That evening I had dinner at Letty’s Oyster Bar at the end of the pier with two of the ladies on my tour. The seafood was excellent! They walked me back to my hotel, which was on the way to theirs. I had asked the desk clerk the day before if it was safe to walk around by myself, because I noticed most places were gated and had barbed wire or electric fencing. She advised me not to walk alone at night. 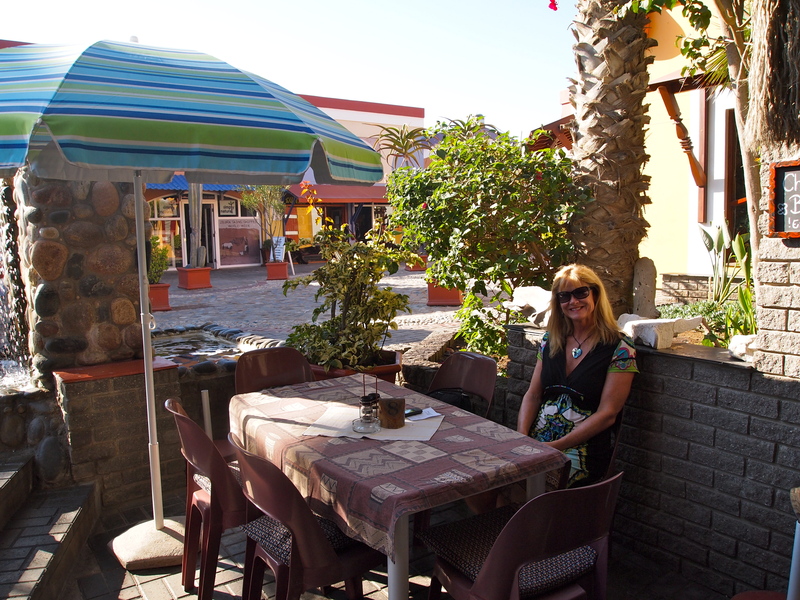 It was a lovely day and I enjoyed exploring the lovely town of Swakopmund! A simple peaceful day at the beach is not to be ignored. Your pictures are so so sharp!!! Love the colors. 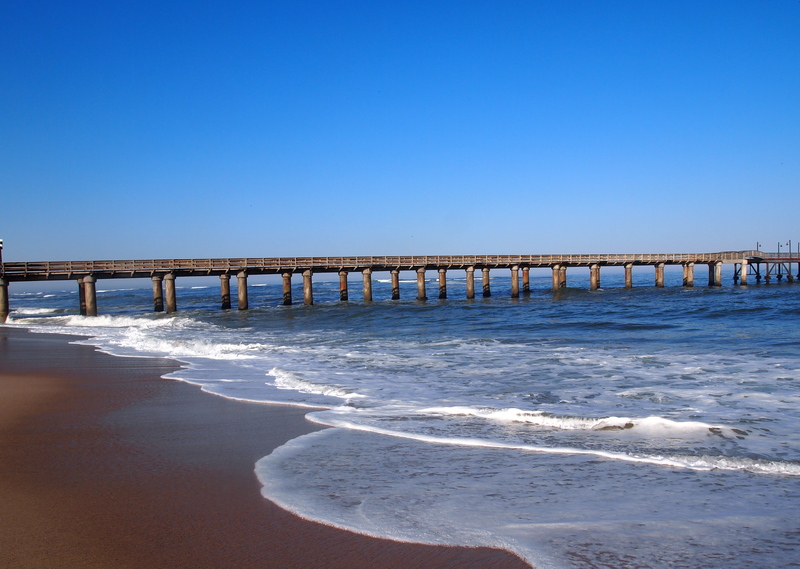 Hi there, I am fron South Africa and have myself never been there. We are plannig a trip for next year April so your blog is excellent. 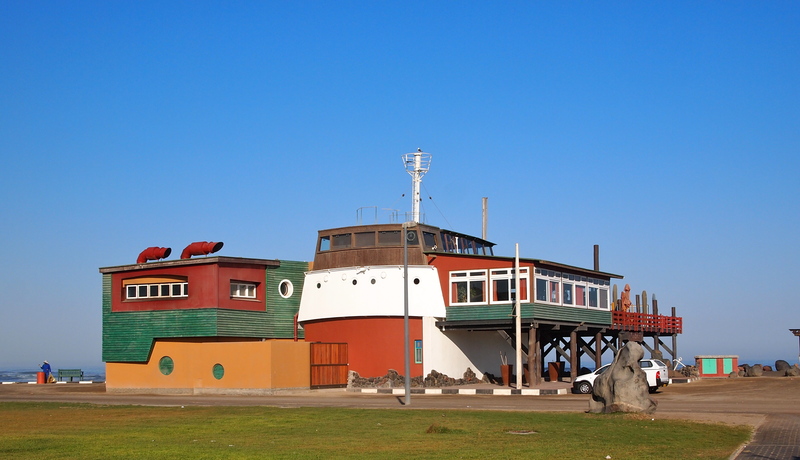 Just a quick question: Are you talking about Swakopmund or Swakamund. Just want to be sure of where you are? It all sounds fabulous! And a massage too…the perfect end to a perfect day, it sounds like! Hi Elisa – Yes…it was! I’ve had Namibia on my list of most-wanted to visit places for photography for a long time… now I just want to go there! You’ve moved it up several notches! Wonderful pictures, amazing places, plus you look very happy, that’s very good. Looks like a gorgeous place. So nice and warm too!!! !